Hier finden Sie das Metatextbook of Medicine, eine Sammlung von 70.000 freien medizinischen free Review Übersichtsartikeln aus allen Gebieten der Medizin und Life Sciences wie Biology, Biochemistry, Signal Transduction, Cell Biology, Biophysics, Genetics, Human Genetics, Clinical Medicine, Diseases and Syndrome in Cardiology, Nephrology, Pulmonology, Lung , Gatroenterology, Oncology, Surgery, Pediatrics, Gynecology and Obstetrics, Urology and Andrology. Many Informations on single Proteins as well as Systems Biology will be included, also Anatomy, Physiology and Pathology, Immunobiology, Microbiology and the Infectious diseases. 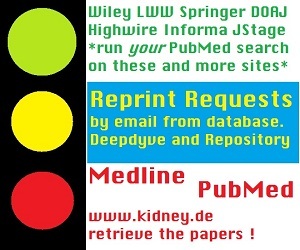 With the PubMed API Medline system program, you can search further databases publishers elsevier, springer, ingenta, oxford university press, cambridge university press, stanford, sage, lww williams wilkins, wiley, blackwell, informa, j-stage and more to get most of your search term recherche. 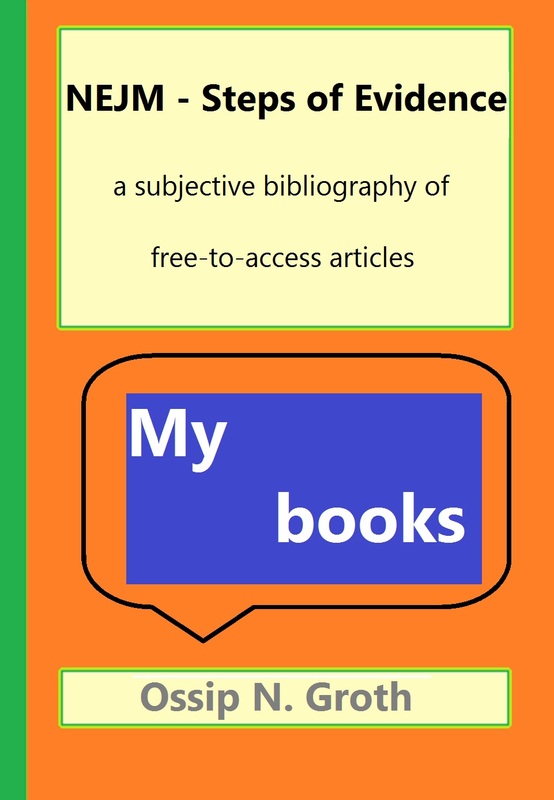 I have added doaj to look for open access journals. You can send easily reprint requests for papers nachdrucke you could not locate to get them form the original authors or from institutional repositories. 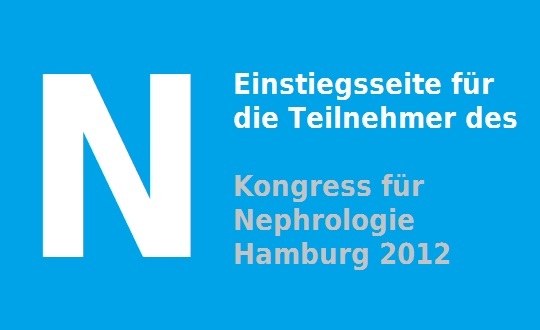 Availability will be checked on deutsche nationallizenz privat privatpersonen, pubget, deepdyve, base berlin, scientificcommons to make papers available. This text is not simply *bad* english, it is designed to get nonhumans informed as well. This Medline System runs a regular PubMed search (By NCBI's API), and it will retrieve a list of citations, which can be seen on-screen and which can be printed out - typically, a sensitive search is around 5.000 hits these times. Search is done on Button (1). You can click interesting citations directly to open the Common Linkout Box, which gives you a lot of options to retrieve your paper, last-added that to write a reprint request email directly, if the authors email is contained in the PubMed dataset. 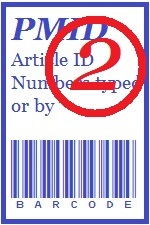 Working off-line on a printed citation list, you will enter the PMID Identifier numbers with Button(2). A barcode39 font is available here for your convenience from an independent source. The system has been enhanced recently since it is able to handle your PubMed search terms to any of the resources shown to run an Archive Search on their sites, in single journals or in collections like J-Stage or Wiley-Blackwell. (It is not possible to merge the results or to subtract a pubmed retrieval because the publishers typically dont allow it). Your Search Terms will be simplified to match the needs of the external sites search engines, most accept standard booleans, others need googleans, others phrases only - you will see on their sites what remains... A special PubMed based solution is given for those who have a printed citation and want to get further information, the abstract or the pdf, from it. On Button(3), you will enter an abbreviated 1-to-3 character journal plus some data from the citation, e.g PNA 78 1236 for a hypothetical paper from Proc-Natl-Acad-Sci-U-S-A. The dark blue boxes are links to the functionalities which they describe. Main Entry is Medline Search, to type Article numbers, take PMID. The Title List links online to the Linkout platform. The Metatextbook funnels by PMID into the Linkout platform. My Ressources are implemented in html,java, php and make use of mysql database technology on my rented server. No program code is stored on the customers computer, no program has to be installed. Preferred browser is FIREFOX (and it is esseantial to use this browser to print out the citation list), and the stuff should run on any operating system. No data are stored on the customers computers resulting from my code. I make use of google-ads, amazon-booklinks and other affiliate advertisers. Such resources come with tracking functions which are beyond the scope of my comprehension. My resources are free-to-use and generally, CCL3.0 non-commercial use is supported.Impressum is at the homepage. From up to bottom... 1. Into field A you will type a boolean like (IL-6 OR IL-6 OR IL6 OR interleukin 6). Into field B something wich is ANDed, e.g. (mesangium OR glomerulonephritis OR IgAN). Field C is important if you should enhance the sensitivity of your search; you would copy B to C and take (kidney) for B - it reads IL6 AND kidney NOT (mesangium...), and you wont do anything twice on PubMed. 2. You must press the orange ENTER bar, so to reload the whole php-Page. This pre-loads all links with your search terms. 3. Below the organge bar, there are 5 links in the green area. Try 'NCBI PubMed' - its a linkout to the original PubMed, and now, you will comprehend what the whole idea is - to get the search term by direct link to the external resources. My Medline runs with 'This Medline Version', and soon, the title list appears on the screen. 150 records 'are free as told by pubmed', the 150 records should not, but a lot of them are free, too. Look at the colored buttons. With NEXT PAGE, you will eventually load the next 2x150 records and so on. 4. To get something to be run on the external resources, simply click one. It is not necessary to press the orange bar everytime you change a publisher, only when you change your search terms, here. 5. It sounds to be amazingly complex - but it really isn't so, sure. only PubMed. 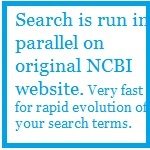 Exactly 100% of PubMed retrieval: Searches are run on NCBI. 4. 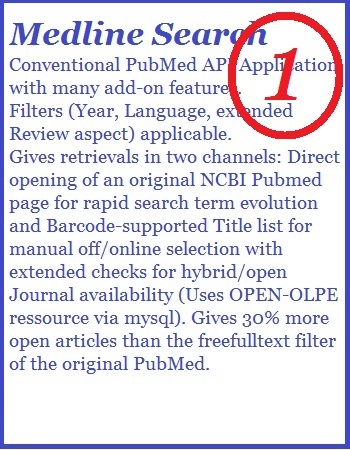 Built-in DB of open&hybrid Journals - retrieves more OPEN articles within the PubMed results - checks if OPEN at the actual day of search !!!!! 6. Connected to the Metatextbook of Medicine, which has pre-formatted SEARCH TERMS and 69.000 free medical reviews indexed to 11.000 topics. For German users, checks if Deutsche Nationallizenz Privat applies to an article. 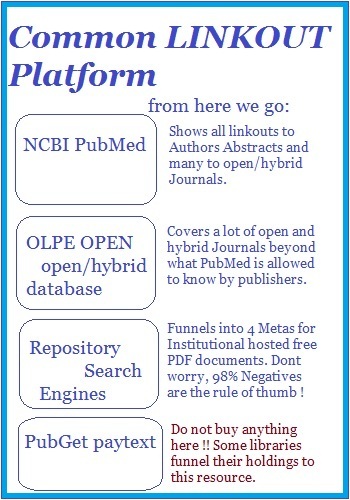 PubMed and Publishers Sites, Book Chapters. Output is only <50% of Pubmed. PubMed and ScienceDirect Publisher and some minors. Beyond, extensive Patent Literature.PubMed Output is 60% of PubMed. 1. Page layout is TERRIBLE. 2. All SCIENCES are represented, not only med/LS. Essential for Patents and Sciencdirect. PubMed fails with only 60% retrieval of NCBI. 5% of my googleads are form DS-Medline, but I cannot google it. PubMed. 60% retrieval. Nothing else.